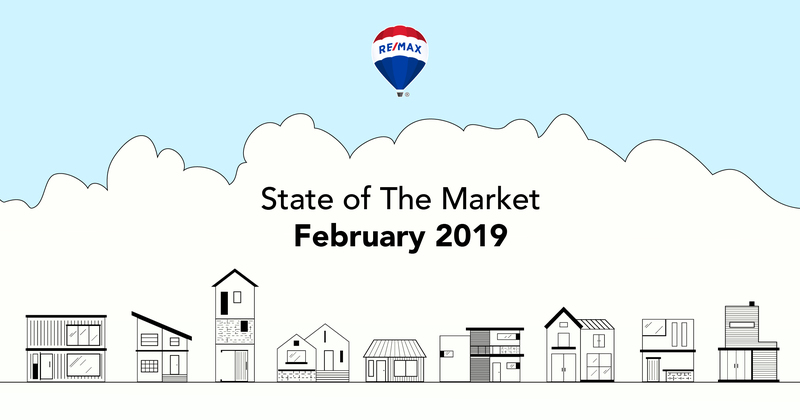 In this article, we will cover NH single-family home and condo prices and sales for February 2019, as well as the performance of the real estate market year-to-date. February came and brought with it the cold chill of winter. Snow started to fly even after Punxsutawney Phil let us know to expect an early Spring. Though, frigid conditions couldn’t cool off the single-family home prices for the past month. Home sale prices were up to a median of $270,000 in February 2019. The amount signifies an increase of 6% from February 2018. Additionally, 64 more homes sold this past February compared to last year, helping, in part, to keep available inventory down a substantial 10% from the previous year. If we take a look at the year so far, NH’s median home sale price sits at $279,500, an increase of 8% from the previous year. Despite an uptick in February, the number of homes sold is down 3% for the year, with available inventory also down 6%. Through 2018 we saw example after example of NH home prices growing and the number of sales decreasing throughout the year. This trend has continued in 2019, with available inventory down 6% from 2018 and nearly 20% from 2017, continuing to drive up prices. Will prices continue to increase? One can say that with the continued high demand and ever decreasing supply, prices will continue to rise. That would seem to make sense, but with prices already at record highs; it will be interesting to see how much higher home buyers are willing to go, and where the market will inevitably peak. Similar to single-family homes, condo prices were also up in February, with a median sales price of 194,000, an increase of 5% from 2018. However, unlike the rise in single-family home sales, condo sales decreased by 10%, with available inventory down 13% from the previous year. So far in 2019, condo prices have been leveling off, only increasing 3% from the previous year, up to a median of $195,000. That is despite a continually decreasing inventory, which is at its lowest point YTD since 1998, with only 1,536 units active. It’s possible that New Hampshire condo prices have started to plateau, for now. Most of the current property demand resides in single-family homes, and with historically low inventory not considerably affecting prices, it is conceivable that condo sale price will remain steady in 2019. Despite low inventory, the housing market in New Hampshire remains strong through February 2019. Buyers are still on the hunt and sale prices remain up. However, spring is upon us and with it the first real indicators on how the 2019 New Hampshire Real Estate Market will play out. For more information on the real estate market, buying, or selling a home in New Hampshire, please feel free to use one of the helpful links below to speak with an expert.